Whether you’re a famous author or this is your first book, Kindle Keywords are an important part of any book marketing strategy. Kindle keywords allow your book to be discovered by hungry shoppers on the world’s largest book market, Amazon, even while you sleep. They help make it so that you get sales and get discovered without having to do major marketing. Plain and simple, they are important. So, if you have an incredible book, but don’t know how to make it so that Amazon shows your book to the right readers, then THIS is the article for you. Bonus: Want to increase your Book’s rankings on Amazon? Download my personal guide to increasing your book’s rankings and discoverability on Amazon so you get more sales continuously! How Do Kindle Keywords Work To Sell Books? When people shop for their next book on Amazon, they generally go to the search bar at the top of Amazon and describe the type of book they are looking for and hit search. Amazon uses those words that the customer typed in, and other things that we’ll discuss in this article, in order to decide which books should be shown to the customer. But before we get into how to find profitable kindle keywords, I know there are going to be self-publishers out there that will disagree with me and say it’s either A: a waste of time or B: cheating the system. However, so long as Amazon shoppers type something into Amazon’s search bar when looking for their next book, understanding keywords, and being smart with them, should always be a part of your marketing plan. The first picture is of my steady consistent sales back in 2015. The one below that is the same book 2 years later. Still steady and consistent. It’s because Amazon happily keeps showing my book at the top of searches for my targeted keywords. My buddy, Alex Barker of the The Happy PharmD noticed that the sales of his ebook had become stagnant. After doing the steps discussed here, he got his book in front of a new market and generated more sales. Not bad for only changing his kindle keywords a little. And for those fiction writers that don’t think keywords work, I’ve found genre-specific examples to prove how keywords work for fiction authors too and here’s a podcast interview I did with TS Paul, who not only discusses how much they helped him, but he gives his exact process for doing it too! Now, while there are a lot of success stories out there about keywords, this isn’t one of those MAGIC bullets. They help to get discovered, but as you’ll see in this article, there is so much more to it than just picking magic words and waiting. 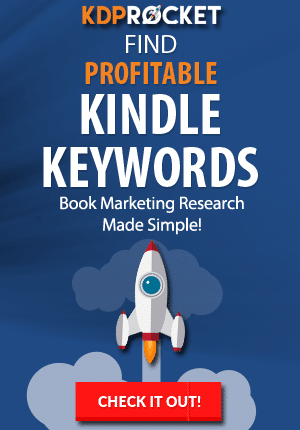 Before we get into the exact step-by-step process I use to find profitable kindle keywords, let’s talk about what makes a profitable kindle keyword in the first place. Now that we know what makes a good kindle keyword phrase or word, let’s attack each one of those three steps. It’s true that Amazon doesn’t directly tell us this. Amazon created a function in their search box that guesses what you are going to type into it based on the popularity of particular terms – the autofill function. So, if you were to start typing in the word “star,” Amazon would immediately pre-populate the search box with words Amazon believes you will type in next, based on previous customers’ searches and your own. Google and tools like KWFinder.com are great for giving us more information about searches on the internet. It’s not specifically about Amazon’s searches, but it still is a good way to discover new search terms we might not have thought of. So, let’s start with Amazon. First, we want to start by going into incognito mode. This will make sure that the information Amazon presents us is not based on our information. Amazon likes to track what we do, click and buy. And they use this information in order to show us things. But when doing this keyword research, we don’t want that to happen. We want to know what the rest of the market is doing and see their raw results. If you’d like to learn more about incognito mode and how to use it, click here. Next, start by selecting “Kindle Store” or “Books” as the Amazon category. You want to know what is popular in your industry and not be shown products or terms other than book terms. Once you have “Kindle Store” or “Books” selected, start typing in words or phrases that pertain to your ebook. Type slowly. 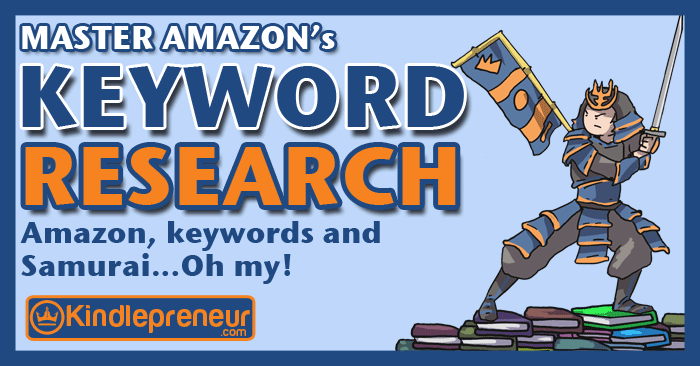 You want to give Amazon an opportunity to pre-generate a list of potential keywords for you. You would do this with every letter of the alphabet – even ‘z’ – and look to see how Amazon completes your search phrase. You’d be surprised what Amazon will come up with! As you go, keep a written list of possible long tail keywords that you think would pertain to your book. Are you starting to see how powerful this strategy is? Now, the above steps don’t tell you how popular they are; they only tell you that people type this into Amazon. If you’d like to know how many people type those words into Amazon, you’d need a tool like KDP Rocket. Okay, so that should get us a pretty good list of words. But let’s go one step further and look at Google’s information as well. Start by going to KWFinder.com or you can use Google’s Keyword Planner. I like KWFinder better because it gives more information about the popularity of the term and general competition. Plus, you can do a couple of searches for free each day. Using Amazon’s Suggestion feature, start broad and use the added a-z method to find more keywords and write them down. If you find a term from Google that might be a good fit, repeat steps 2 and 3 for that term. Okay, now that we’ve got that out of the way, it’s time to dive deeper into that list of words and see if they are phrases that shoppers will actually pay money for. Shoppers may type in the above words, but that doesn’t mean they’ll find what they are looking for or decide to purchase. There are some terms out there that might get a LOT of searches but just don’t get sales. That’s why this step is important. To find out if a kindle keyword is making money, first, do a search for that keyword in Amazon. Then click on the top three books that show up for that search. Next, go to their Amazon Best Seller Rank (ABSR), copy, and paste it into my Kindle Calculator. 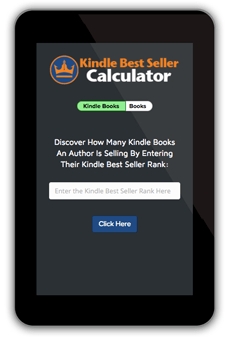 This calculator will convert the ABSR of a book or kindle into estimated sales that day. People who do search for that keyword didn’t find what they were looking for and didn’t buy. Now, go through your list, repeat, and see which of your keywords are not only getting searched, but also making sales. Alrighty then…now that we know which keywords get searched and help to sell books, let’s take a look at the level of competition and see if we can get our foot in the door. If we can’t get our book to show up for a keyword, or show up at the top of the results, then that keyword won’t help us. As you can see, we NEED to beat the top ranking books (1-5) in order to benefit from the kindle keyword shoppers. Otherwise, your keyword won’t help you. So, to help you with this step, here are some things you should consider when looking at the top 10 books that show up for those results. Book Covers: A great looking book cover design is super important. If the book cover design stinks, but that book is making sales, then GREAT! Verify that you can create a cover better than what is there. Titles and Subtitles: Is the keyword in the title or subtitle? If so, then know the author is targeting this term strongly. Also, does the book title or subtitle make sense? Here are two articles to help you craft a bestseller book title, and a subtitle that converts. Book Reviews: How many book reviews do they have? Are they recent or super old? Are they verified or unverified? What rating do they have? Having better and more reviews than your competitors is a sure fire way to get the sale over the competition. Here’s a great tactic to help you increase your reviews legitimately. Book Description: Book descriptions are more important than people think. It’s what makes shoppers click to buy. It’s that last-ditch act of convincing shoppers they need to buy the book. So, is their book description well written, or are they structuring their book description so it looks presentable, like my free Book Description HTML tool will help you do? Age: Newer books usually still have a lot of Amazon love, and are usually doing big marketing pushes. So, their numbers and popularity are a little inflated. However, if the book you’re competing against is years old and still crushing it on the market, then beware! Author’s Popularity: If the author is super famous or has a large following and email list, then they are really competitive. First, go to their Amazon Author Page and check their author rank. You can also do a Google search for their name, and look at the website (use this) to figure out if they are getting people to their website, look at their social media and see if they have a huge following, and just get a general feel for how much this author is invested in the subject matter. After looking at the level of competition, you should have some terms/phrases that not only get searched, and bring in money, but they won’t be too competitive for you to use and get in front of a buyer’s market. – Congrats! In the example above, I showed how just niching down in genre can really help. Looking at the numbers we can see that something like Space Marines has a lot more opportunity than something like Sci Fi Military and still gets decent searches per month. As a new author, targeting Space marines would be much better than going for Science Fiction or even Scifi military. And the numbers help us with this. As you can see, just the choice of type of wizard affects our ability to be discovered, as well as our potential share of the market. Now, think about what it would be like just guesing at this instead of looking at the numbers. That’s why this is SO important in our book marketing research. More so if you’re using this information before you start writing. Imagine knowing that a certain demographic needs your nonfiction book, or your target fiction reader describes your kind of book in another way. Powerful, right? As you can see, a broad term like Parenting is extremely hard. 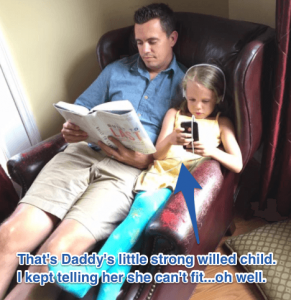 However, there is a lot of promise in targeting “toddlers” or even “ADHD.” Of if you’re someone like me, who has a strong-willed child, that might be a good one too. Obviously, the above steps are quite tedious and back when I did it, it could take forever to get my keyword information altogether. Here’s a sneak peak of its book idea search function. Best of all is that it works on both MAC and PC! KDP Rocket has been seen on Forbes, Entrepreneur, and more. Increase your keyword research efficiency and effectiveness for a one-time fee of ONLY $97. Soon, we will be making it a subscription. So lock in your lifetime access now!Get It Now! I’ve Got Kindle Keywords, Now What? The above were steps to researching and finding profitable keywords, so now what? 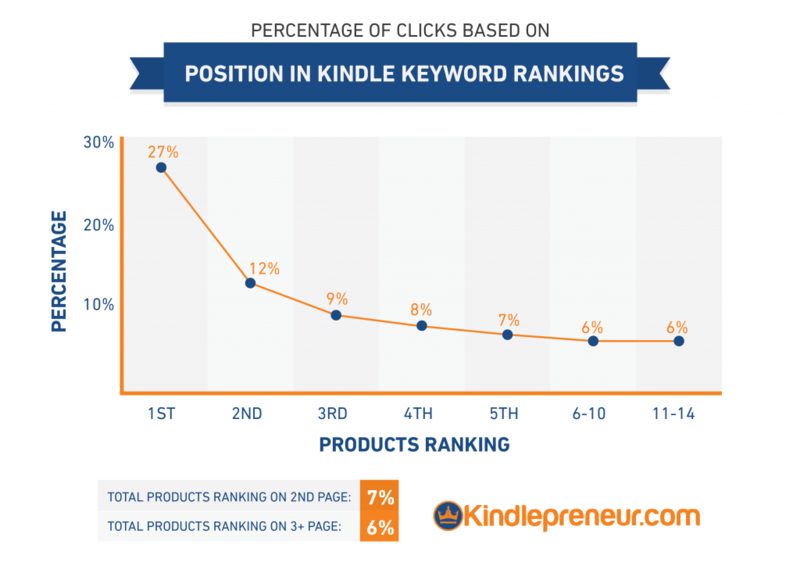 In your KDP dashboard, Amazon will ask you to give them 7 kindle keywords. Go ahead and put your well-chosen keywords here. I highly recommend that you don’t stuff a bunch of keywords into this area – regardless of what others recommend. Amazon is a lot more competitive than it used to be, and I personally think that you shouldn’t dilute the strength of your keyword push by throwing other words in there. You did some great research – stick by that. Doing the above three steps, you should ‘show up’ for the keyword if a shopper types it in. But like you can see on the rankings chart above, if you aren’t ranking #1-5, then you’re not getting much out of that keyword. Even more so, the book that ranks #1 gets 2x more shoppers than the book that ranks #2. So, how do you convince Amazon to rank your book #1 for that keyword so that your book benefits from all this research? Well, that’s a completely different subject. Luckily, I have a full free pdf that shows you exactly how to do exactly that, legitimately. Download my free PDF on how to increase your Kindle Book Rankings! Any information that is covered somewhere else in your book such as title, category, etc. So, if any of your potential keywords aren’t in line with the above, remove them. Keywords are important. In order to make your book stand out from the crowd, you must learn how to strategically choose them and ethically harness their power. There’s a difference between Amazon Keywords and SEO Keywords. I’ve shown you how to choose and use them both to increase your ebook sales. The right keyword combinations can open up new markets for you. Strategic keyword selection will drive more viewers to your book. You can use keywords to gain more viewers and ultimately, make more sales. Find the right keywords one of two ways: either use my free methods, or pay once for KDP Rocket and have all the dirty work done for you. With KDP Rocket, you will have instant access to loads of incredibly valuable information at your fingertips. Whichever method you use, just use this information ethically and you will enjoy the rewards. BONUS: Don’t forget to download my free guide to increasing your kindle rankings. Just click below to download and start getting your book in front of more customers. I have learned the hard way that comments don’t always work…haha.. testing testing 1, 2, 3. I really don’t think keywords are any good. Take “personal mission statement” for example. My book ranks at Kindle at #1 or #2 ever since publishing. KW Finder says 9,900 searches a month. I sell 1-2 copies a day and it is not a $9.99 book. Another book, another keyword: “persistence”, 60,500 searches, about 5 sales a day. IMHO, they are not worth chasing. First off, congrats on being able to write a ever green book that brings in $90 – $180 a month, every month. I am sure there are a lot of authors out there that would see that as a victory. And how long did it take you to write that book? But now, you enjoy that passive income, right? Awesome. So, how do you think you got those 1-2 copies a day? Is it because you send that traffic to your book? Or is it because the Amazon algorithm sends that traffic? So, what I see is that your keyword “personal mission statement” was easy to rank for, and thus got you to rank #1 in Amazon. In turn, that keyword drove enough traffic to your ebook page to create 1-2 sales per day….and thus brings you $90-$180 a month in passive income. Sounds like keywords worked for you….just not in the uber awesome way you were hoping for. Keyword research isn’t perfect, but using the steps above prior to writing the book, you would have seen that your book would have been profitable…which it was. Again, congrats! Dave, you are making a classic mistake assuming that all the trafic to my book goes from keyword research. What about word of mouth referals? What about bestseller listings? What about “Customers Who Bought This Item Also Bought” section? I honestly doubt that even 30% of Amazon traffic comes from keywords. And your income math needs some improvement. Amazon’s cut is not my income. Agree. That would be dreamy. I’d love to have one sale a day let alone 5. Totally inspired here, thanks! Awesome post! One of the biggest mistakes I made when first starting out with publishing on Kindle was ignoring keywords. I’ve gotten better at them and have seen more success because of it but I’m still not where I want to be. I’ve always just focused on targeting keywords for Amazon’s search engine and never really focused on the actual search engines like Google, Yahoo etc. It’s something I’ve been wanting to learn more about because I definitely see the value in getting your Amazon books to rank high for Google searches. One thing you mention which I’ve actually seen opposite results on was including the title of your book as one of the 7 keywords. You mention it at some points as if it’s breaking an Amazon rule to do this, I never knew this if it is. I’d be curious to know more about you reasonings for excluding it from part of the 7 keywords. When I first started publishing I did not include the book title as part of the 7 keywords because I didn’t think I needed to but someone recommended that I try it and when I went back and put my book title as a keyword I saw an increase in sales. There are a lot of other variables involved in this which may have been the actual reason for the sales increase so I’m definitely curious to hear your thoughts on this. 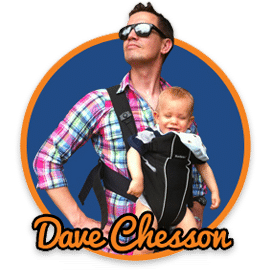 Hey Dave – great name btw, the list of no-no’s that I refer to in the post are actually Amazon’s rules. They say you can’t have a Amazon Keyword that is in your title. Here is the reference link: https://kdp.amazon.com/help?topicId=A2EZES9JAJ6H02. Whether or not it helps? I believe it will help to rank your book faster for that term…but not better. Awesome sauce Ariel! It totally does the trick, but I really think there are ways that it could be improved. Hi Dave, thanks for sharing the benefits of Kindle Samurai. I need clarification: at the end of the video it says put your best keyword from the 7 we posted on the KDP page also in the title. Isn’t this exactly what Amazon says DON’T do? Also, wouldn’t we already have our books completed and titled before going to the KDP submission page or is this tool suggesting that we determine our keywords before creating our book’s title. The best time to do keyword research is before you start writing. It will help to validate your ideas and ensure there is a market for it…a market that isn’t over crowded that is. With regards to the video, that one isn’t mine. So, go with what I wrote 😉 The only thing that Amazon requires is that you don’t use your title as one of the 7 keywords. Hope that helps. Does this mean that keywords are completely irrelevant when publishing a major update to a book? I hope not… I knew absolutely nothing about KW research and SEO when I first published and would love to put some of this into practice. The 7 “Kindle Keywords” that you initially select will lose their strength in A9’s eyes after about 3 months. However, I have heard (but don’t have personal data on this so take it for what it’s worth) that people have changed some of the 7 Kindle Keywords and seems increases in sales. Again, I can’t prove that and don’t have a case study for it. Well, I’m about to go through it, so I’ll let you know how it goes. I’ve followed your steps and found some great Kindle keywords as well as a title tweak that *should* get me on the front page of Amazon search results regularly, and even a hidden category to shoot for that’s related to the topic but I didn’t know existed. All thanks to your blog. Seriously, I owe you big time. That is awesome buddy! And if its the book I am thinking about, then its pretty cool to hear that since I read it a couple of years ago. Go figure! Argh! Went to purchase Kindle Samurai and it’s not available on Mac…. I did already go through the whole step by step process that you outlined, so hopefully the KWs that process produced are good enough. The kwfinder tool is absolutely superb. I am testing this tool for finding the title of my next book. Initially I had thought of another title, but I was convinced to try your kwfinder strategy, and changed the title hoping that it will rank in the 1st page of google as well. Question: Would a “two word” keyword, with 1.900 searches per month, a comp. level of 25, and a couple of “0-10” competitors in the 1st google page, be considered as opportunity? Given that the topic seems to be profitable in Amazon? Should I also promote heavily the permalink of the book in order to help my google ranking in the first page? Thanks!! I’m no expert, but I’m finding the length, for one, doesn’t really matter. If you discover that every month 2,000 people are searching for “How to change my own tire with a pocket knife and duct tape,” and only 100 people are searching for “pocket knife duct tape tire change” every month, then you target the first one (and thank God, because good luck making ‘pocketknife duct tape tire change’ sound natural in body text). That’s only a partial answer to your question, but that’s the part I *think* I’ve figured out. What’re your thoughts on writing multiple books within a single niche in terms of KW selection and category? Target the exact same categories and kws, or mix it up? Well, I’m a big fan of buidling series inside of a niche…or making your own competition if you find that your book in that niche is doing well….remember, high traffic…low competition. Can’t help to write more books in the area so it looks like there is more competition and you are making more with it. Also, when building upon your series, you have more chance to regain a previous buyer and build upon previous success. I have Kindle Damurai and I’m still tanking in the rankings. Are you suggesting to put powerful keywords into the title, sub title and description AND add another 7 keywords into the internal keyword section? A lot of that depends. It depends on the competition of the keyword. It depends on how aligned your book is with it. However, if there is perfect keyword for your book, and there is a some competition for it, then the more you use it (e.g. Title, one of 7 kindle keywords, subtitle, description) the better chance the A7 Amazon algorithm will pick your book up for that particular keyword and rank you better. once it decides you should rank better, then ti comes down to your conversions. If no one will buy your book, but they are buying books below you in the rankings for a keyword, then those books will overtake you eventually. But if you continue to make sales when people type in the Keyword, then you’ll rise to the top and stay there….which means more traffic and more sales. Quick question. Can this still be effective if you already have a book title? How effective is this for fiction? I’m almost convinced to buy. It seems more geared to non-fiction. Thanks. Hey Tam, while it helps if your title has a keyword in it, I wouldn’t change my title to reflect that…unless it works and is natural – especially for fiction. For Fiction, I actually have a post that will come out in a couple of weeks that talks about particular keyword strategies for fiction authors. As for the software, you might want to wait until KindleRocket.com comes out. I’m super excited about that little guy. So, DON’T buy Kindle Samurai, yet? Tell me more about KindleRocket. Also, did I read correctly that you can re-do your key words? I totally did the keyword thing all wrong when I put my ghost story collection on Amazon. So how long for KindleRocket? Thanks for the great insights dave. Was able to take away lots of valuable information! One thing i cant get my head around: when using kindle samurai, it just takes keyword searches on google into account, right? Why would i wanna use the best Google KW for my book on amazon? I can’t see that people are searching the same way on amazon than they do on google. I mean, if a KW gets a lot of volume on google it doesnt necessarily mean that this is a well searched KW on amazon as well, is it? Hope this makes sense and would like to hear your opinion on that. Although Samurai has the “G Searches” it doesn’t work because the creator of Samurai doesn’t update the software…if yours does work, then let me know. However, supplementing your Samurai info with Google Searches is a good idea. The problem with Amazon is that they don’t tell you how many searches a particular word gets, however, another powerful search engine does: Google. Although Google and Amazon are different, knowing things like 120 people a month more use the word “validation” instead of “test” when talking about ideas, gives you a leg up. If they would use “Validate Ideas” more on Google, then they probably use “Validate Ideas” over “Test Ideas” in Amazon as well. Using Google information you can get an idea of what words people naturally use when conducting a search on a platform…or an idea of words to include. Is it perfect? No, but its good info to consider. Very interesting article and I get the software and is great! Thanks! AHHH. SUCH A HELPFUL POST. I found killer keywords after using your criteria. The only sadness. I cannot buy Kindle Samurai. WHY WHY don’t they work for Mac!! Yeah, about that Mac issue…I’ve got a solution coming out. Me and my team are creating something that will be even better, stronger and faster….and will definitely work on both Mac and PC. It’s KindleRocket.com. Hopefully it’ll launch (literally?) in June…fingers crossed. Thank you so much for the kind words…seriously made my day reading that. And definitely sounds good about connecting! Hit me up any time. sad it is not on mac!! Dont’ worry Khalid, I’m coming up with a solution very soon. I too am a Mac guy…heck I used to work for them and I completely agree. I placed it on my partitioned hard drive using Parallels but can’t stand that I even have that on my computer. Check out KindleRocket.com. Does the software works with other non-kindle products? For example, tshirts? Just bought KD Suite for Keyword Research to start writing my next book. Could you please tell me if Kindle Samurai is good or KD Suite? I actually prefer KDPRocket.com right now…but that one won’t be out for a couple more weeks 😉 In truth though, I haven’t tried KD Suite so I can’t say. Do you suggest to watch what keyword are best and then create a kindle based on the keyword topic? Yup. I’m a big fan of book idea validation. Unless you have a large readership or following, you’ll need Amazon discoverability to help get your book to more people. The way to do that is to look for keywords that people are typing into Amazon that gets traffic but isn’t too competitive. In a couple of weeks I’ll have a couple more article that go in depth and my software will launch that will do all of the above, work on both PC and Mac AND tell you how many people per month on Amazon type that search term/keyword into Amazon. Dave, this post is epic! Thank you for your help! I do have a question for you. I know you said that KWFinder is free. Maybe it has changed since you posted, however, it is only free for five searches/day. Am I missing something or have they perhaps shifted what they give away for free? Thank you again for your great content! Just heard you on Authority Self Publishing Podcast. There was a ton of useful information there! Everyone should listen to that one! Hey Micah, thanks! Sorry about the confusion, I’ll make sure to edit the post, but my intentions were that KWFinder’s 5x per day would be sufficient for checks. Bit the truth is, my software, KDPRocket.com coming out later this month will do everything listed above, even what KWfinder does…but it will be a one time fee. Thanks Dave! I am looking forward to seeing more about KDPRocket. I signed up on the list for information several days ago. Thanks again! You mention KDPRocket will provide Amazon search volume (i.e. how many people search for a keyword in Amazon). Considering Amazon does not provide this data, how are you coming up with it? Of course, the exact formula is your IP but I would like to know the expected reliability of this value. Is it calculated based on Google search volume and Amazon ranking of the top results for the keyword? Hi Jorge, our calculations uses the ABSR as an indication of popularity, the location of the product for that term (known Click through rates depending on where it ranks), and expected data that was found in some literary journals about buying on Amazon and other metrics. We also incorporate a little Google factor in there because there ARE things that people type into Amazon, but don’t get a result or the results they are looking for. So, our calculation uses popularity of products, popularity of search terms on other platforms (so as to account for untapped potential markets) and statistical data from people smarter than me. I hope that helps? A really interesting and informative article. I will post your link as a resource on lizziechantree.com tomorrow as I have just posted today. I was going to write a blog about keywords, but you have pretty much covered the whole topic here! I think this is very useful to new authors who are still working out which keywords work best. I am trying to learn as much as I can about it and I already use some of the methods you talk about, such as keywords in titles, subtitles and on photos. You’re KDP Rocket software sounds like it could be really useful! Even though this article was written a while ago, a lot of the points are still very useful for people starting out. Thanks Dave. I’ll take a look. What does KDP Rocket take as input? Does it measure the quality of user decided keywords only, or can it generate likely keywords for the less commercially inspired user? 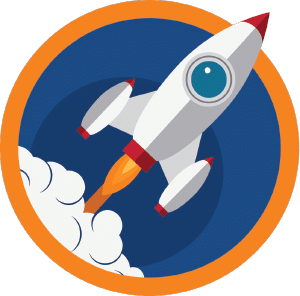 KDP Rocket uses Amazon’s own information to help you know the success rate of the keywords like how much people are making, how competitive the keyword is and how popular that keyword is in searches. It also lets you know of other keywords that people are using in Amazon and Google that are close to your original Keyword. Yes, I’ve been a lurker for a couple months, but finally thought: I need to thank this man! So, here I am, saying thank you! I also had a quick question about Kindle Keywords. When you’re looking to show up on the first page, should it be in the first general page or specific book to our own category? For example, Amazon suggests Suspicious Deaths: 96 Kindle eBooks >Romance: 4, >Mystery & Suspense: 2. (I didn’t use this one, just an example). So, 96 books is hard, but the rest easy. Or does that not matter? Hi Heather – aw thanks! As it pertains to this article and kindle keywords, showing up on the first page is the page of results. As in, if someone types something into Amazon, having your book show up on that first page is what you’re striving for. So, imagine that if 1,000 people per month type into Amazon “how to paint” and your book shows up at the top of the first page, then that means every month 1,000 people will see your book at the top…and statistically speaking, buy it – that will happen every month. Yay! Yes, that helps a lot! Thank you so much! And just so you know, “how to paint” has 591 titles! Dave … Thank you for such an information rich article. It taught me how bad my own keywords were. As a matter of fact, it proved that most of my keywords either sucked or were part of the big no-no list. The part about unlocking and using a couple of the “hidden categories” was especially useful. I had no idea. I do have a couple of questions though. To me the use of long-tail keywords makes perfect sense. It was a kind of “DUH” moment for me (I’ve had many of those since starting this writing adventure). Anyway … if the long-tail key words are so effective, why does Amazon only recommend single words to be used as keywords? And … You state that the keywords become less effective after about three months of publishing your book. Why would Amazon do that? And since Amazon allows authors to experiment and update/change their keywords at anytime and since each change requires an author to essentially re-publish their work, would each update reset the 3-month clock? Okay … maybe that’s more like three questions. Hi Kirk, glad to help. Honestly, not sure why they recommend only 1 word keywords. But there’s no denying how a targeted keyword really helps to ensure you show up for that particular one. As for the less effective, I should probably update and add more to the article on that. What happens is that Amazon likes to keep their book lists fresh – they give a little bit more love to newer books. So, after publishing, Amazon gives you the benefit of the doubt and boosts you a little bit more. However, that doesn’t necessarily mean you will drop in rankings just because your time is up. In truth, if your book gets the most conversions for that ranking (proof that customers like your book being there) then you’ll stay at the top. As for changing them, that’s up to you. It’s not exactly re-publishing every time you change something n the KDP dashboard, so I wouldn’t look at it like that. More like you’re updating your information. Thank you, good sir. Your website is a great service. Awesome to hear and thank you! Dave, this article (book chapter, maybe?) is a virtual treasure throve of likely in-house secrets,,, It shows how much you dig the topic and cherish sharing it. I first “met” you on Alinka Rutkowska’s website, authorremake.com/ and got very impressed. Don’t lock it up, not yet! 1)- As we test our first pages for the keyword searches on Amazon, should we use Sort by Relevance option? 2)- The Amazon Best Seller Rating that we use in “How strong are the books on the first page”, is this the first rank listed (Paid in Kindle Store) ? 3)- You stated we should use KWFinder to look for an SEO between 20-25. Any guidance for the search result of KWFinder? 4)- How do we apply SEO keywords? Do we cleverly embed them in the book description under Kindle eBook Details? Hi Dave, seriously great article. 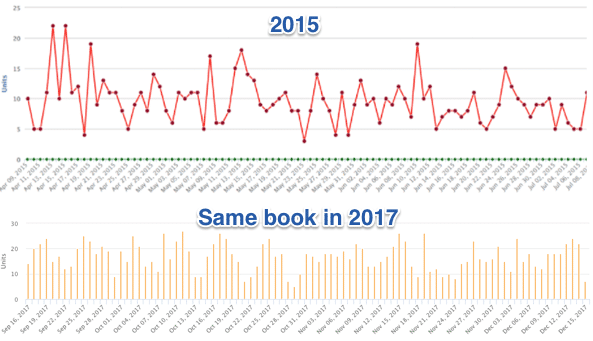 Quick question for you: you mention that the relevance of Kindle keywords quickly dissipates 3 months after publishing. Does this mean that, if you were to re-optimize your keywords say, 6 months or a year after publication, then this re-optimization would not be of much impact? Hi Anthony. Good question. In the 3 month period, Amazon tests you out near the top but also gives preferential treatment to new books that come in. However, if you prove that during that time period or even when a new books shows up, that your book is the book that people still purchase over others when they type in that keyword, you’ll sit at the top. Basically, Amazon wants to put the book that gets the best sales conversions at the top for a specific keyword. They’ll show a new book at the top from time to time, but if your book sells better than those, you’ll move right back up at the top and stay there till someone else beats you. However, if you show up and quickly drop, then changing keywords can potential help as well. This has been very helpful, thank you so much! Absolutely and glad to help! ARE YOU KIDDING ME? The eagles are NOT a taxi service! They are a highly intelligent species that have free will and their own form of government! Not only that, but do you think Sauron would have hesitated to shoot them all down the moment they were spotted in the sky? The purpose of the Fellowship of the Ring and the linchpin of the entire strategy decided on in Rivendell was to destroy the Ring in a mission of secrecy!